Music technology moves pretty fast, and here at Dubspot we’re committed to bringing you the best possible electronic music education and incorporating the latest cutting-edge technologies. As part of this commitment, it is with great pleasure that we are now announcing our all-new Ableton Live program at Dubspot, completely updated for Live 9! Ableton has been hard at work over the past four years building upon and expanding all the great things that you have come to know and love about Live, and Dubspot has built a new program to help you learn it. We have taken the great feedback from our community to improve our Ableton program and make it even better. Live 9 brings many great new things to the table such as Session Automation, Max for Live (standard in Suite), a new and improved Browser, Audio to MIDI conversion, updates to many of Live’s built-in Devices and the addition of some new ones, new editing functions for MIDI and audio, 64-bit support, SoundCloud support and more. All of these new features and functions are covered in our new program along with many new tools and technologies to help you thru your musical journey in our six-level 48-class course. • All students will now be provided with a custom audio library courtesy of our new partner Loopmasters. Students will also be provided with a discount for purchases from the Loopmasters catalog and their sister site Plug-in Boutique. 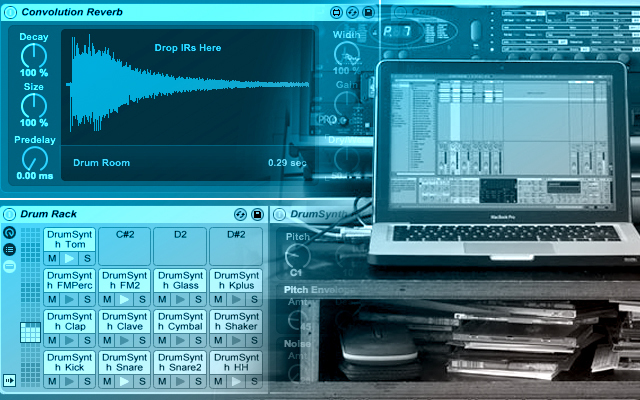 The pack is loaded with loops in a variety of current electronic music styles, one-shot drum samples, and construction kits. The purpose is to provide you with all the materials that you may need during your studies. • Project files provided for every class that you take in the program. We all lead busy lives and sometimes details escape us. Now, you will be able to see and explore what the ultimate goal of each class should be. We hope that you are all as excited about this as we are, and that the next steps on your electronic musical journey will include some time with Dubspot. I'm in week 2 of it right now.